competitors will vie for the title of KiteFoil Gold Cup champion, a title won by Johnny Heineken on the inaugural tour in 2014.With over seventy riders from nineteen countries, last year’s tour was highly contested as a different sailor won each of the three tour stops. Rapid development of equipment and athleticism have enabled these sailors to perform at speeds which rival the finest America’s Cup sailing yachts. Californian sailor Joey Pasquali has been training against Oracle’s turbo foiling AC45 in San Francisco Bay and reports, “We’re (foilboards) a touch faster up the track and they’re (AC45 Turbo) a touch faster off the breeze.” The 2015 KiteFoil Gold Cup tour will certainly be one to watch as these sailors push the envelope of performance on this modest platform. 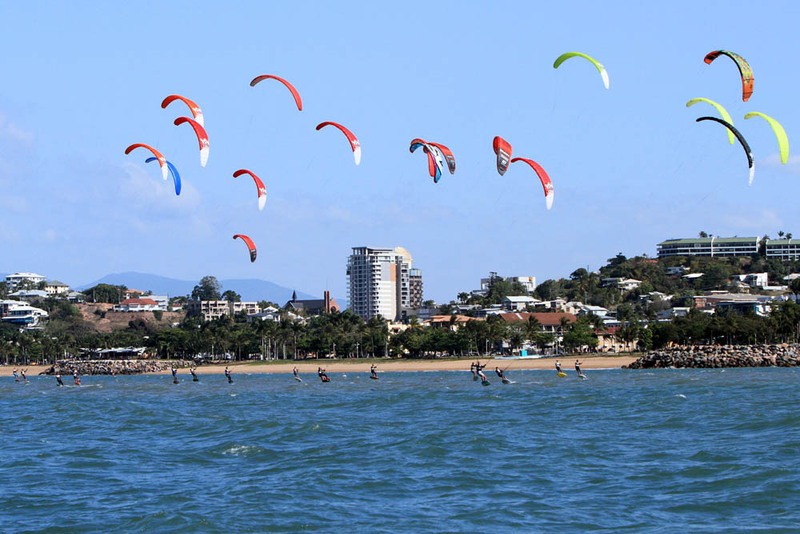 The tour is run under the guidance of the International Kiteboarding Association (IKA) and Technical Director Robbie Dean. IKA has partnered with Playa Central Beach Club, St. Francis Yacht Club, and Townsville Sailing Club to provide the backbone for each of the events. A French tour stop had originally been in the planning but unfortunate circumstances inside the French federations prohibited a tour stop in the motherland of hydrofoing kiteboards. wind powered watercrafts in the world.